What does your little one need to know before Kindergarten? Well, this Preschool Flash Card set has you covered: upper and lowercase letters, numbers 1-20, shapes, & Pre-Primer Dolch Sight Words! 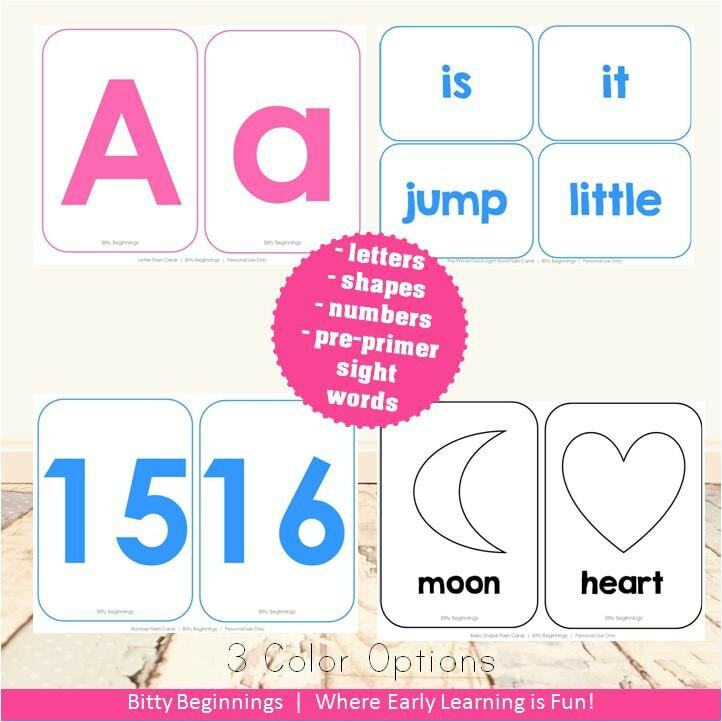 Simply print, cut, & add to a book ring repeated playing and learning! The set comes with three color options (pink, blue, and black), too!